Radnor Road is conveniently located close to a variety of shops, bars and restaurants available in nearby central Harrow. The nearest public transport link is Harrow and Wealdstone station as well as Harrow on the Hill Station. 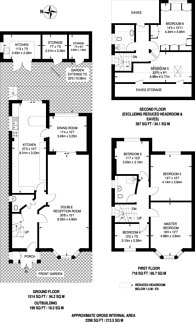 2,298 (213 Sq M) approx.